Mission: A SpaceX Falcon 9 rocket will launch the 19th Dragon spacecraft mission on its 17th operational cargo delivery flight to the International Space Station. The flight is being conducted under the Commercial Resupply Services contract with NASA. 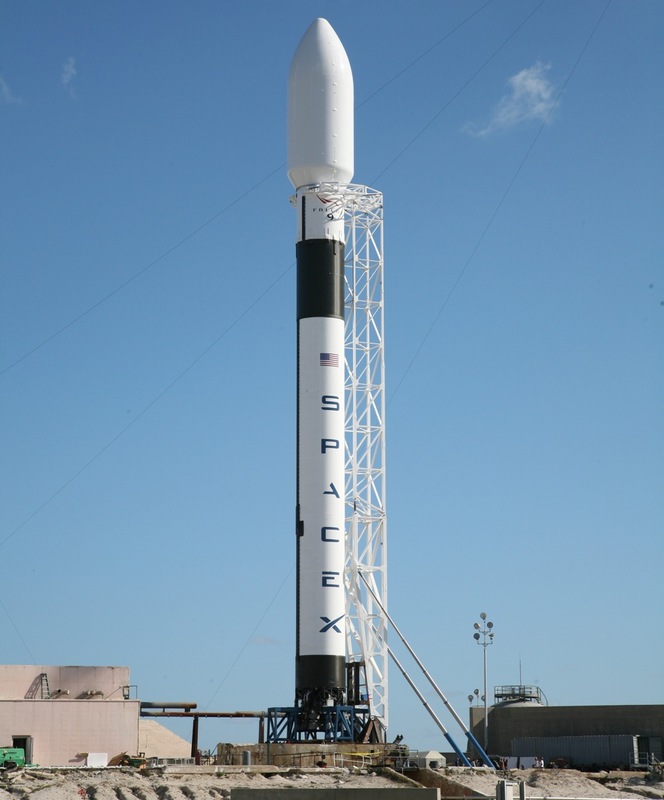 Mission: A SpaceX Falcon 9 rocket will launch the Amos 17 communications satellite. Built by Boeing and owned by Spacecom Ltd. of Israel, Amos 17 will provide high-throughput broadband connectivity and other communications services over Africa, the Middle East and Europe. 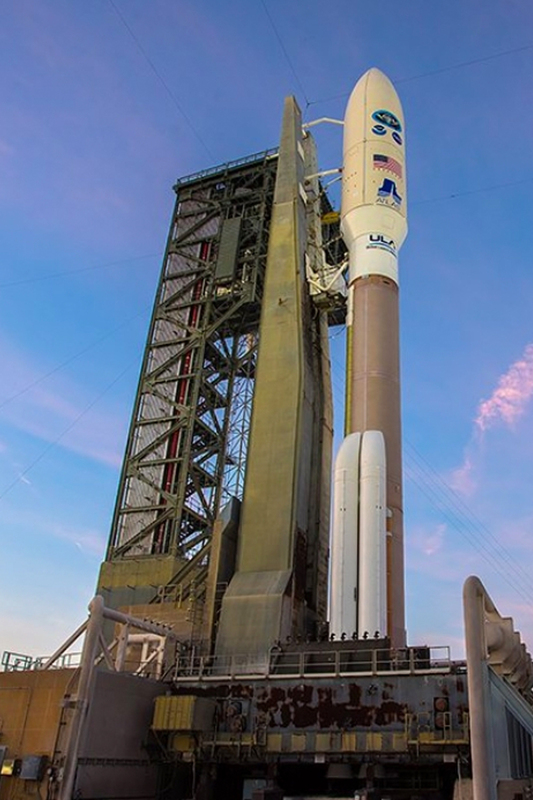 Mission: A United Launch Alliance Atlas 5 rocket will launch the fifth Advanced Extremely High Frequency (AEHF) satellite. Built by Lockheed Martin, this U.S. military spacecraft will provide highly-secure communications. The rocket will fly in the 551 vehicle configuration with a five-meter fairing, five solid rocket boosters and a single-engine Centaur upper stage. 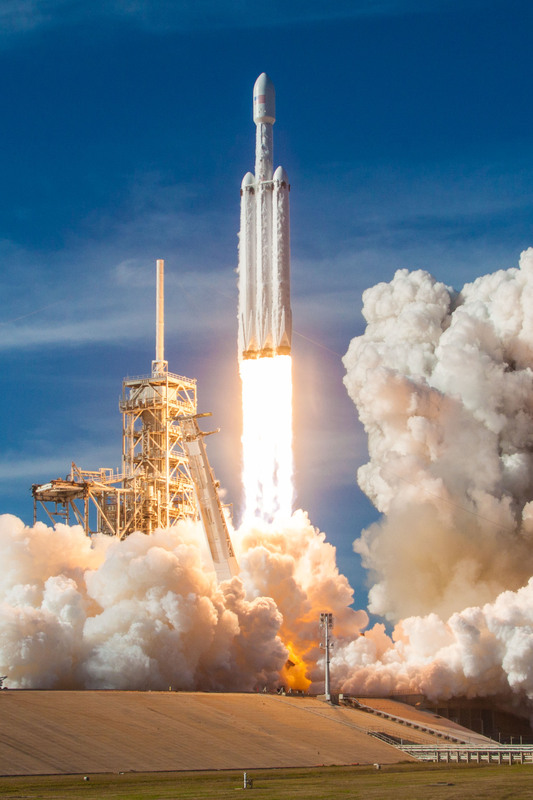 Mission: A SpaceX Falcon Heavy rocket will launch the U.S. Air Force’s Space Test Program-2 mission with a cluster of military and scientific research satellites. The heavy-lift rocket is formed of three Falcon 9 rocket cores strapped together with 27 Merlin 1D engines firing at liftoff. Mission: A SpaceX Falcon 9 rocket will launch the 20th Dragon spacecraft mission on its 18th operational cargo delivery flight to the International Space Station. The flight is being conducted under the Commercial Resupply Services contract with NASA. 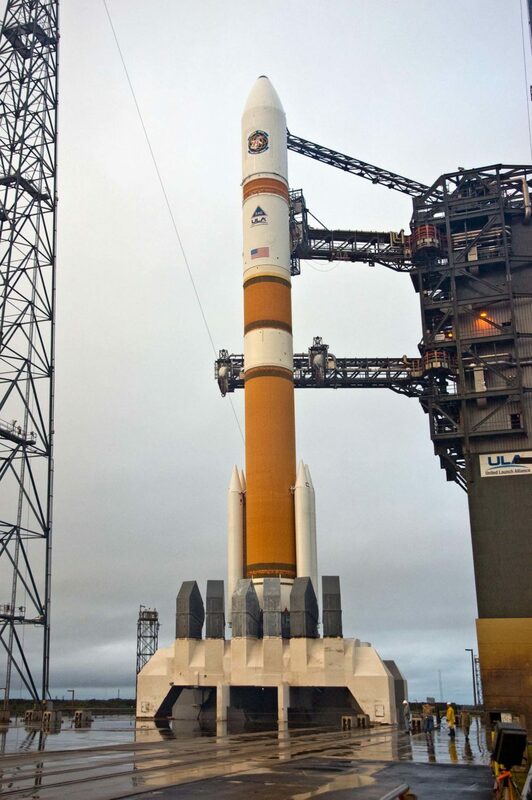 Mission: A United Launch Alliance Delta 4 rocket will launch the U.S. Air Force’s second third-generation navigation satellite for the Global Positioning System. The satellite is built by Lockheed Martin. 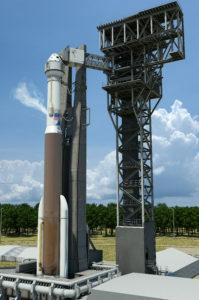 The Air Force previously planned to launch the third GPS 3-series satellite on this mission. The rocket will fly in the Medium+ (4,2) configuration with two solid rocket boosters. Mission: A SpaceX Falcon 9 rocket will launch a Crew Dragon spacecraft on its first test flight with astronauts on-board to the International Space Station under the auspices of NASA’s commercial crew program. NASA astronauts Doug Hurley and Bob Behnken will fly on the Demo-2 mission. The Crew Dragon will return to a splashdown at sea. Mission: A United Launch Alliance Atlas 5 rocket, designated AV-080, will launch Boeing’s first CST-100 Starliner spacecraft on an unpiloted Orbital Test Flight to the International Space Station. The capsule will dock with the space station, then return to Earth to landing in the Western United States after an orbital shakedown cruise ahead of a two-person Crew Test Flight. The rocket will fly in a vehicle configuration with two solid rocket boosters and a dual-engine Centaur upper stage. Mission: A SpaceX Falcon 9 rocket will launch the U.S. Air Force’s third third-generation navigation satellite for the Global Positioning System. The satellite is built by Lockheed Martin. The Air Force previously planned to launch the second GPS 3-series satellite on this mission. Mission: A United Launch Alliance Atlas 5 rocket, designated AV-082, will launch Boeing’s CST-100 Starliner spacecraft on its first mission with astronauts, known as the Crew Test Flight, to the International Space Station. The capsule will dock with the space station, then return to Earth to landing in the Western United States. Boeing astronaut Chris Ferguson and NASA astronauts Eric Boe and Nicole Mann will fly on the Crew Flight Test. The rocket will fly in a vehicle configuration with two solid rocket boosters and a dual-engine Centaur upper stage. Mission: A SpaceX Falcon 9 rocket will launch the 21st Dragon spacecraft mission on its 19th operational cargo delivery flight to the International Space Station. The flight is being conducted under the Commercial Resupply Services contract with NASA. Mission: A United Launch Alliance Atlas 5 rocket will launch the AFSPC 7 mission for the U.S. Air Force. The mission’s primary payload is the X-37B, a spaceplane also called the Orbital Test Vehicle, on the program’s sixth mission. The rocket will fly in the 501 vehicle configuration with a five-meter fairing, no solid rocket boosters and a single-engine Centaur upper stage.